The landscaping manager at Stewarts Garden Centres, Rebecca Moy, has been awarded the trophy for the best overall stand at this year’s New Forest Show. 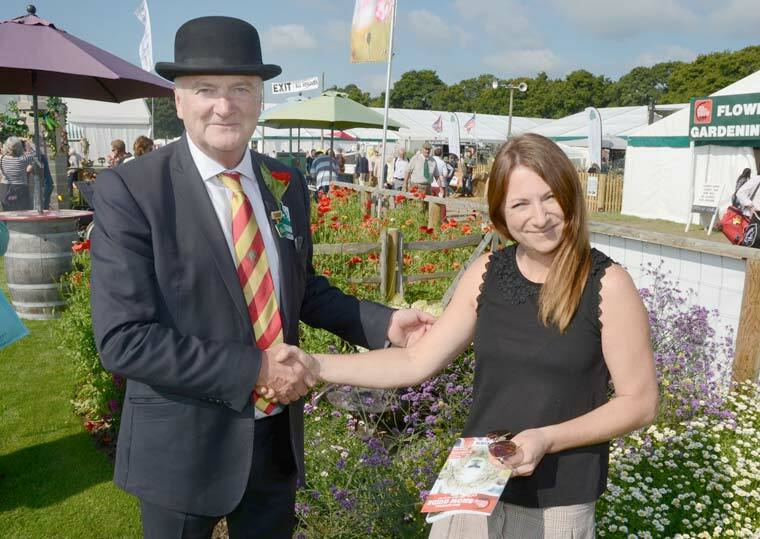 Rebecca Moy, Landscaping Manager at Stewarts Garden Centres, has been awarded the trophy for the best overall stand at this year’s New Forest Show with her winning stand showing a display of annual meadow flowers. It included an educational theme to make the visit interesting for young children. The meadow display drew big crowds of visitors throughout the show. Martin Stewart, managing director of the family owned garden centre group and the vice chairman at the New Forest Show, said that he was proud and delighted that the hard work by Rebecca and the team also caught the eyes of the judges. “Rebecca was very concerned that the recent heavy storm showers would be destructive for the display before the show even opened. Fortunately the meadow plants have rallied to make a beautiful meadow area,” said Martin Stewart. Over the last 10 years, Rebecca has planned the annual display which involves preparing the land and sowing and planting early in the spring for what is expected to be major attraction within the event. “I was pleased that the conditions improved for the hundreds of plants so we could promote good practices in wildlife and bee-friendly gardening. The award is well deserved by all of the team,” said Rebecca. The passion for horticulture has been in the Stewarts family for eight generations and the business can be traced back to 1742. Stewarts created the earliest dedicated garden centre, which opened in Ferndown in 1955 before their first out-of-town centre at Christchurch opened in 1961.